Mensusa https://www.mensusa.com/articles/ostrich-belts-the-ultimate-accessory-that-portrays-style.html Ostrich Belts- The Ultimate Accessory That Portrays Style Style conscious men never neglect their accessories when dressing up especially for parties and meetings. If you are one among them, then you must own one of the ostrich belts that have an amazing attraction and help to enhance your looks. Belts are usually made of leather and other synthetic materials nowadays. 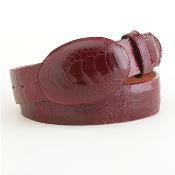 But the designer belts are made from exotic leather like the skin of crocodile, alligator, Ostrich and other exotic animals. Those who are in favor of stepping up according to fashion trends, look for something unique and outstanding. And for them, the ostrich belts are the best options. These belts are created exclusively by experts in this field and they have an outstanding appearance that naturally draws the attention of all men around. So if you are getting ready for an important event, visit MensUSA to purchase one of the best belts from the huge collection of ostrich belts spread out at the store. Ostrich belts are trend setters. They are durable and at the same time extremely soft. Ostrich leather is known to be one of the most expensive and unique types of leather available today. Whatever suits you wear, these belts add an extra touch of elegance and sophistication to the entire looks. Moreover, ostrich belts are very beautiful and as they are available in a number of colors, you can easily purchase according to your suits to stand out from the crowd. 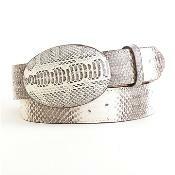 The belts come in a variety of sizes so that they can be worn by all shapes and sizes of men. The broad ostrich belts are just right when you want to create the cowboy looks while the sleek and sophisticated belts give you the delicate style that trendy men like to wear. Remember that your trousers must have the appropriate size loops so hold the belts properly and neatly. These exotic belts add a standard to your closet. They usually come with the basic micro-fiber bag and silver-tone buckle. If you want to create a new look every time to wear the ostrich belts you can take out the buckles as they are removable. If you want a gorgeous look and draw the attention of everybody at the gathering, you can use highly embellished buckles like the ones with stones and carvings on them. Actually, the Ostrich hide itself is unique and beautiful and the craftsmanship of the professionals add to the ecstasy of the wearer. This classic accessory is a must-have for all style conscious men. 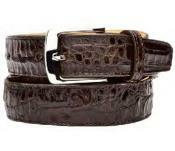 MensUSA spreads out different sizes and colors of ostrich belts for the trendy men of today. If you step into this store, you will surely buy the ostrich belts and no other belts for they are so enticing and easily overwhelms an individual. Moreover, the original looks and feel of Ostrich hide is maintained so well that every product is a class by itself. Although ostrich belts are the most loved accessories of the Western world, today they have crossed over all barriers and have become the must-have belts around the world.